This 150 pc realistic money set is a perfect play bills and coins set for math activities or imaginative play. 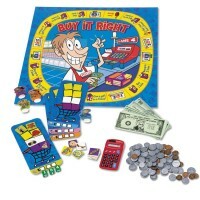 This is a perfect kids money set for math activities or imaginative play. 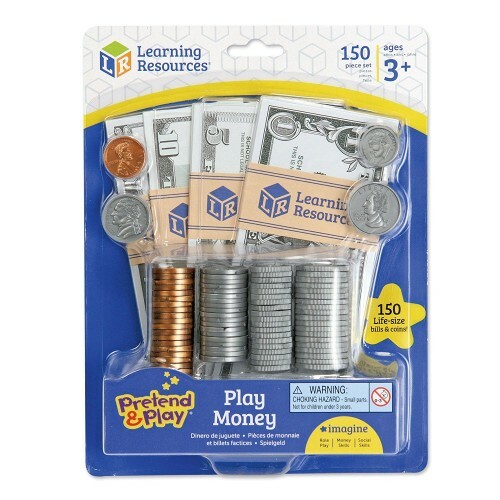 The Play Money 150 pc Actual Size Money Set by Learning Resources features the realistic, actual-sized plastic coins and paper bills that help children learn to recognize different denominations. 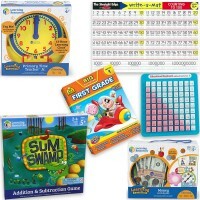 This terrific play bills and coins set for children promotes math-related life skills, including counting, addition, subtraction, making change and balancing a budget. 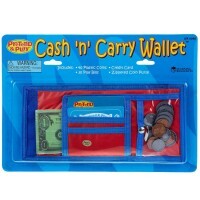 Children will also enjoy playing a pretend store, bank or other imaginative play games with this realistic play money. 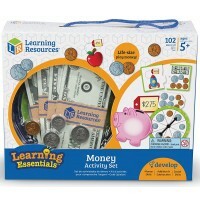 The kids money set includes coins from pennies to quarters, and bills from $1 to $20 (150 pieces in all). 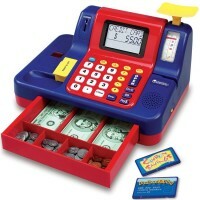 This deluxe kids money set is a great supply for the talking cash registers or ATM machine from Educational Toys Planet. 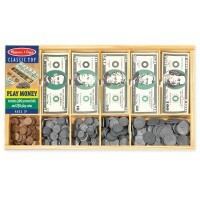 Dimensions of package 0.018" x 0.065" x 0.085"
Write your own review of Play Money 150 pc Actual Size Money Set. 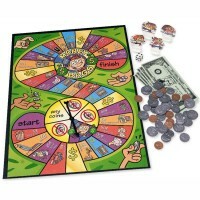 Rating: 5 Money by Tiffany My son was having a hard time in school when the teacher was teaching the class how to count money. 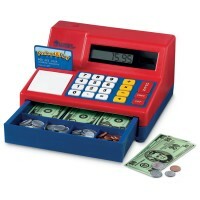 I was trying to help him at home with my own money but it kept getting lost and i was losing 20 dollar bills and so forth. 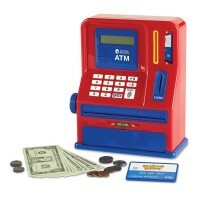 I bought him this set so he could learn on his own and as well as keeping my own money safe. 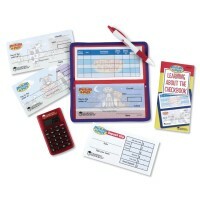 The teacher had called me and told me that he has made wonderful progress after i had bought this money set for him.